We’ve written about Secret Cinema’s special public screenings of Back to the Future a couple of times this year, about how they’re supposed to be amazing, and how they’re bringing the show stateside in 2015. They sounded cool, but we all like to go see screenings of our favorite film, so our reaction was along the lines of, “Oh, that could be fun, but we’re not super excited about it.” Yeah, that was until we saw this video of the event, and holy crap, this is way more than just watching the movie outside, this is an entire immersive experience, and it look super badass. This is a collection of footage from the Back to the Future screenings held at Queen Elizabeth Olympic Park in London last summer from July through August, and it looks incredible. You don’t see anything here that we haven’t already read about, but witnessing it in action, even in a YouTube video, gives you a sense of the true scope and scale of this event. You start to understand exactly how these screenings helped the movie jump back into the box office top ten almost 30 years after its original theatrical release. An event like this is worth ponying up for. They went all out recreating Hill Valley from the 1950s, from actual functioning storefronts (you can get a sweet ‘50’s hairstyle) all the way to the Ferris wheel. You have people in costumes as the characters from the film wandering around, and they even set up the damn high school, just for the hell of it, and oh yeah, there’s the prom, complete with Marty McFly showing Chuck Berry’s cousin how to rock. Just the level of detail that went into the set up alone makes this stand out above other novelty screenings, not to mention the fact that they did this numerous times. It would be worth the ticket price just to wander around this place for a while before the movie, but it doesn’t stop there. 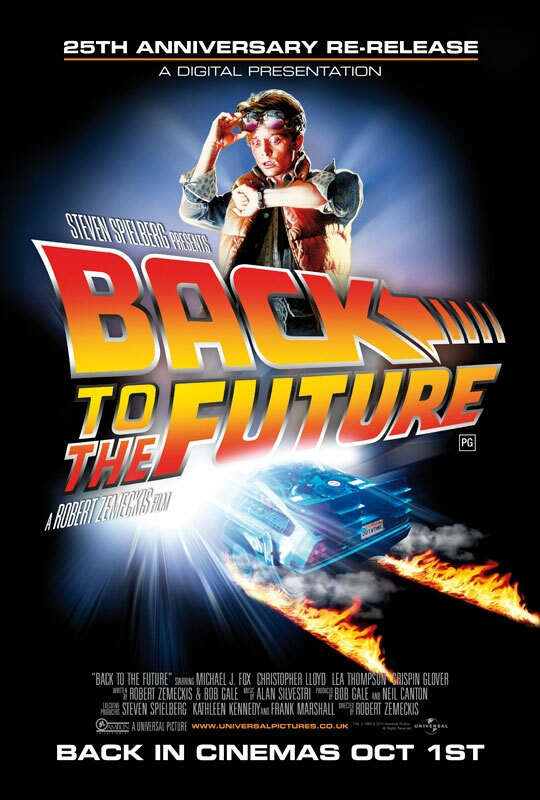 During the film itself, its like an epic, incredibly detailed Rocky Horror Picture Show screening, with actors on stage recreating the action, a DeLorean zipping around, running from Libyan terrorists, and all kinds of elaborate, crazy live stunts. This seriously looks like the best time ever. Secret Cinema is coming to the U.S. in 2015, and plan to be in Los Angeles with a set up similar to this in order to celebrate the anniversary of Back to the Future. So if you live around the Southern California area, you may want to stop by, or if you don’t, maybe you plan a vacation to LA next year. Tickets are pricey, they were a whopping $88.50 in London, but you get one hell of an experience to remember. Reminds me (*kinda) of going to see Rocky Horror in Greenwich Village back in the day. The whole movie was performed on-stage, under the screen by costumed revelers. Always a blast. 8th Street Playhouse with Sal Piro. HELLZ YEAH! check out the bladerunner one online. wish that would come to toronto.